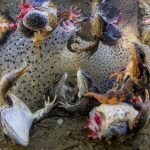 In October, the Hungarian National Museum welcomes the annual collection of winning images from the 61st World Press Photo Contest. 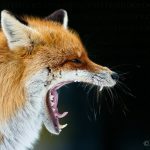 They were selected from 73,044 images taken by 4,548 photographers from 125 different countries. The World Press Photo Contest is the most prestigious competition of photojournalism in the world and celebrates the photographers and pictures that best contributed to the past year of visual journalism. Photojournalists from around the world compete in eight categories: Spot News, General News, People, Sports, Contemporary Issues, Daily Life, Portraits and Nature. The carefully selected international jury–which changes every year–also selects one picture to be the World Press Photo of The Year. 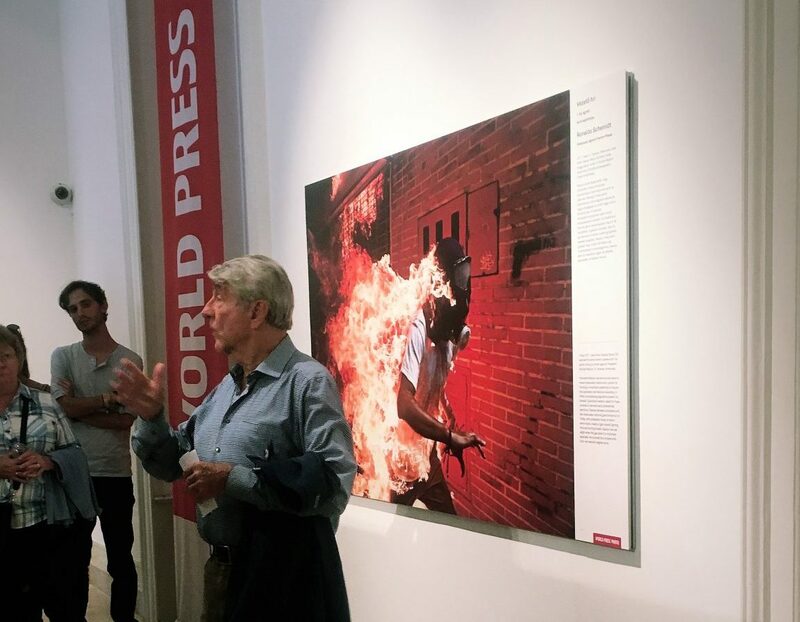 Péter Korniss, Pulitzer Memorial Prize and Kossuth Prize-winning photojournalist and Artist of the Nation, held a special guided tour of the exhibition yesterday, on October 11. He was a member of the international jury for three years from 1977 and won an award for his series at the 1986 photo contest. He talked about the history of the photo contest and exhibition, sharing some secrets and fun facts about the categories and selected pictures. He revealed that back in 1955 when the contest started, only two categories were included: News and Sports for single images and Features and Picture Stories for photo stories. Later, they introduced colored images and only 700 photographs were present in the category at the time. He also discussed the decision-making process, which is sometimes quite difficult. The jury often struggles to choose the best photos of the year and may spend entire nights together reviewing the nominated pictures. Sometimes after browsing through hundreds of images, they choose a different picture than the audience might have expected. 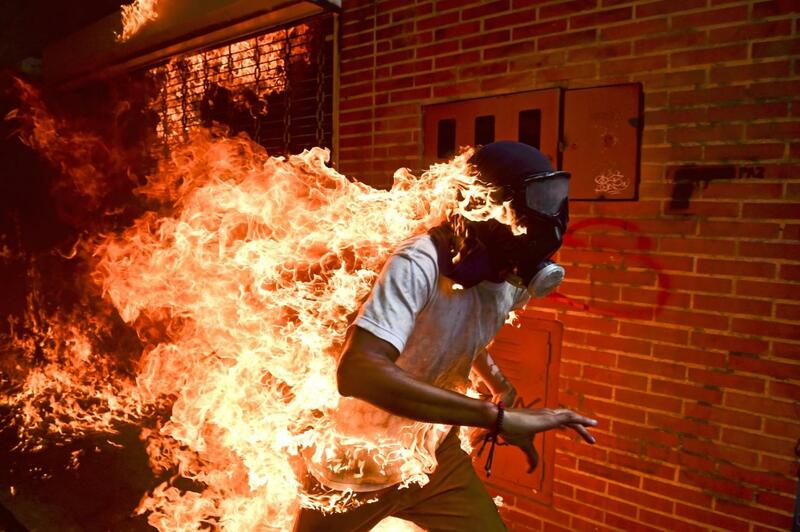 This year, the World Press Photo of the Year was taken by Ronaldo Schemidt during the Venezuela Crisis. Schemidt captured the moment when José Víctor Salazar Balza caught fire amid violent clashes with riot police during a protest against President Nicolás Maduro. Korniss talked about how people see the World Press Photo Exhibition as a projection of the terrible things happening in the world and the last year. However, he said that it’s called the World Press Photo Contest for a reason. It’s about news, and the news is not always positive, just as one would expect. 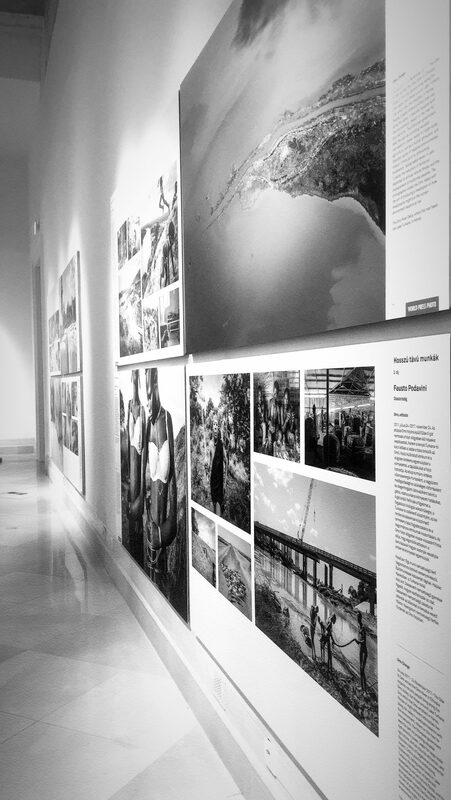 The aim of the exhibition and the contest is to connect the world to stories that matter. He added that there are non-violent topics as well, such as the long-term project series of Carla Kogelman who photographed two sisters, Hannah and Alena, for years. The girls live in Merkenbrechts–a bioenergy village of around 170 inhabitants in Waldviertel. Korniss also talked about how modern technology has changed photojournalism, for example, with the use of digital cameras and drones. 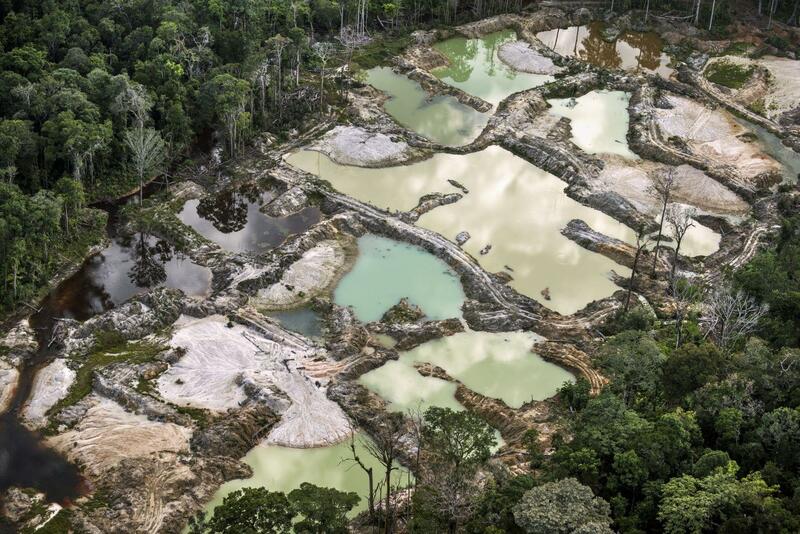 One of the best examples of drone photos is a series from the environment category where a remnant of the rainforest is pictured standing in a field cleared for agriculture near the Tapajós River in the Brazilian Amazon. 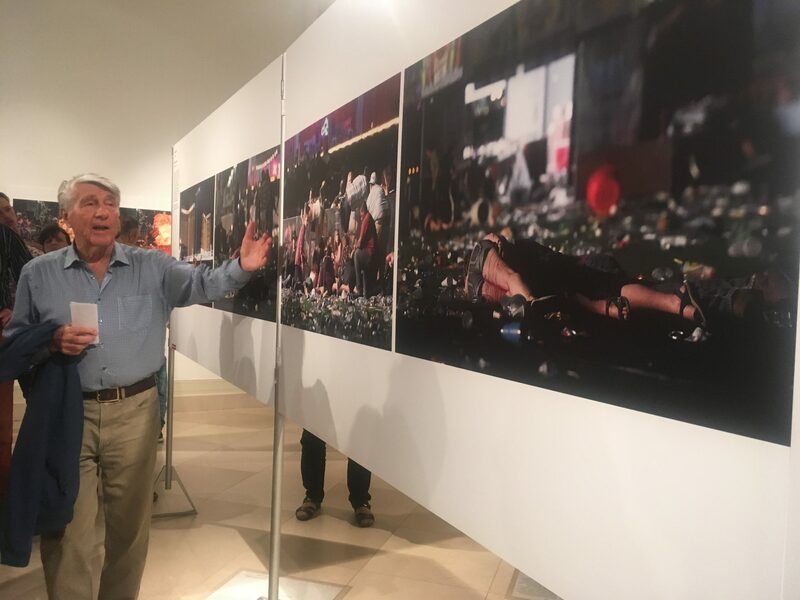 He also emphasized David Becker’s award-winning series depicting the Las Vegas massacre where fifty-eight people were killed and more than 500 were wounded when gunman Stephen Paddock opened fire on a crowd of around 22,000 concertgoers. Korniss expanded on the fact that photojournalists need to be able to act quickly when something unforeseen happens. He said this series is great because it shows the massacre without too much blood, but still conveys a lot of emotion and shows how terrible the event was. 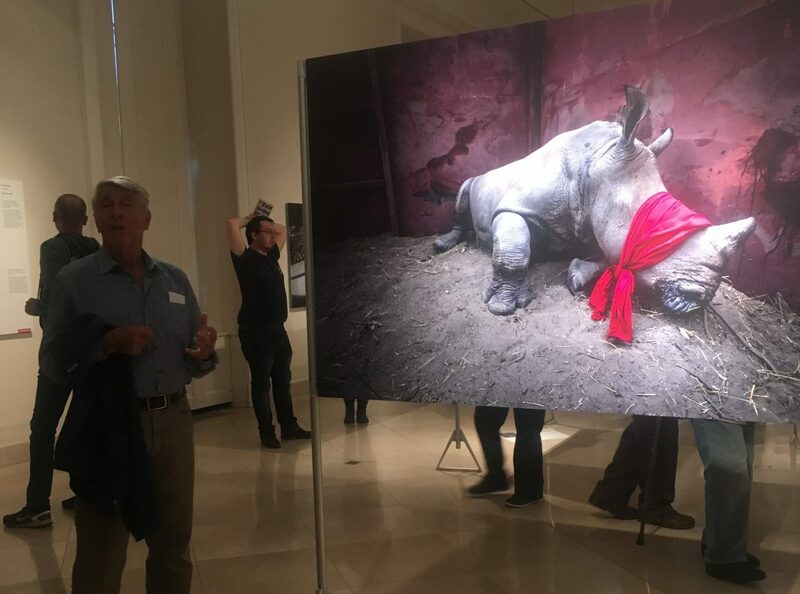 The tour ended with Korniss’ favorite: Neil Aldrige’s photo of a young southern white rhinoceros about to be released into the wild. The World Press Photo Contest rewards pictures that are visual documents which provide an accurate and fair representation of the scene the photographer witnessed. As the jury doesn’t want a prize-winning picture that misleads the international audience, all of the pictures entered must follow a series of guidelines that guard against manipulation. You can check out all of the winning photos and series of this year’s contest here. 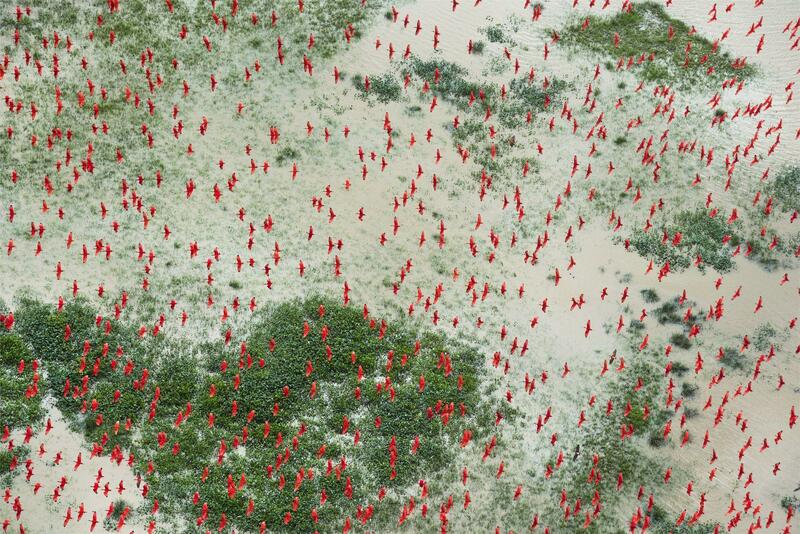 The exhibition of award-winning photos is shown worldwide in 100 cities and 45 countries, reaching a global audience of 4 million people each year. It is open to visitors in Hungary’s National Museum until 23 October.